To Dads-to-be: Thank you for your interest in SMS4dadsSA. We have reached the end of the recruitment phase for this research project. Please check our website in the future for further information on the outcomes of this project and any further opportunities to be involved. We wish you well in your fathering journey. 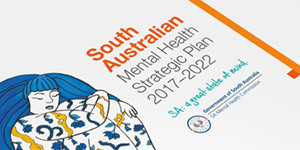 The SA Mental Health Commission’s SMS4dadsSA pilot project supports dads in their transition to fatherhood and improves mental health and wellbeing outcomes for South Australian parents, babies and families. SMS4dadsSA builds the bonds between the mother, father and child that lay the foundation for a strong and resilient family. While doing this, it also monitors the mental health and wellbeing of participants – because we know that one in 20 expectant and one in 10 new dads experience pre and post-natal depression and anxiety.